cPanel® è studiato per gli utenti finali che si trovano a dover gestire il proprio hosting in assoluta autonomia, con la possibilità di gestire indirizzi email, monitorare le statistiche degli accessi ed amministrare i propri database Mysql. Site owners can install commonly used web-based applications, such as WordPress blogs, osCommerce stores, and phpBB forums, simply by answering a few quick questions in the cPanel interface. 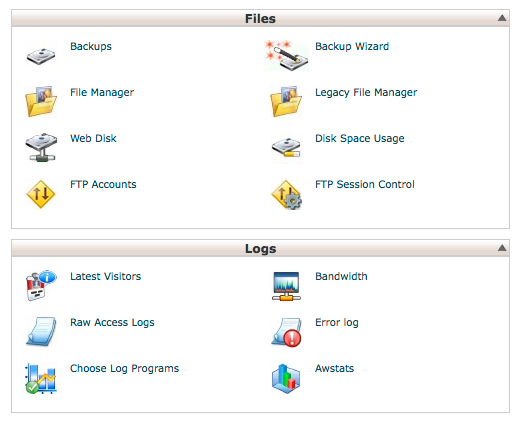 Backing up data is simple with cPanel’s Backup Wizard. 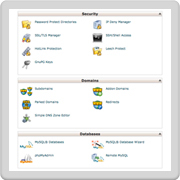 Our software comes equipped with an interface to help site owners manage and acquire backups for their entire account. Virus protection makes it easy to scan files for viruses. 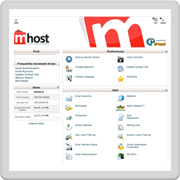 Site owners can even prevent other websites from inappropriately using their bandwidth, password-protect areas of a site, and set up cPanel to automatically ban a user who shares a password to a restricted area of the website. Professional web developers love cPanel. 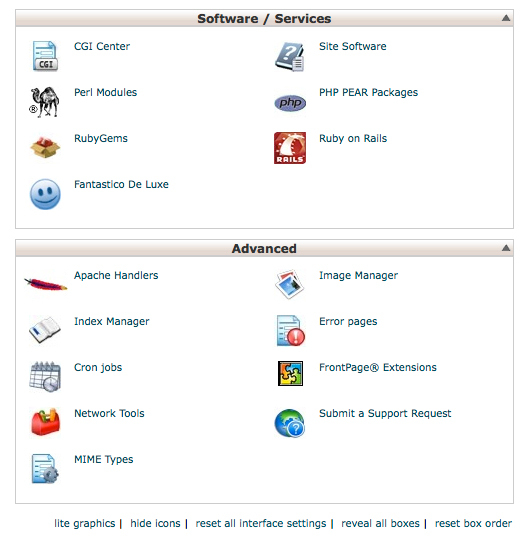 They can quickly view a server's PHP configuration, install Ruby Gems, customize error pages and how content is served. 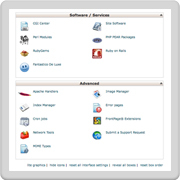 Localization allows webmasters to use cPanel in Arabic, Bengali, Brazilian Portuguese, Chinese, Dutch, English, French, German, Hindi, Japanese, Portuguese, Russian or Spanish. 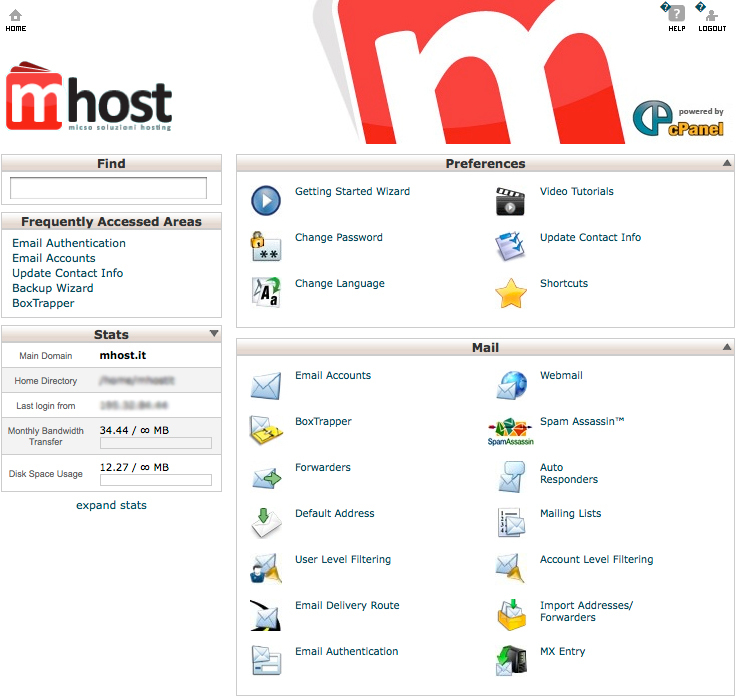 Website owners can use cPanel® to create email accounts associated with a website. It supports the standard mail protocols, including POP, IMAP, and SMTP, both with and without SSL encryption. 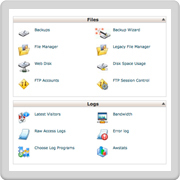 cPanel® provides a web-based interface for checking email, so account holders can access mail at any time, from any computer with a web browser. It also supports the latest email technologies to ensure messages reach the intended destination. cPanel® users can set up email forwarding, which allows account holders to have an address at one domain (such as webmaster@cpanelexample.com) forward incoming messages to another (such as your-name@example.com). This can also be useful to businesses that need to route email to an employee’s BlackBerry® or other mobile device. 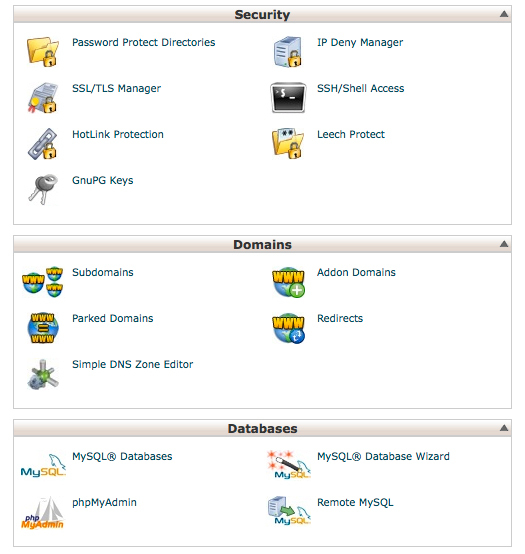 cPanel® continuously refines its interface. The result is an intuitive product that allows website owners to maintain their sites easily without needing to contact their hosting provider.